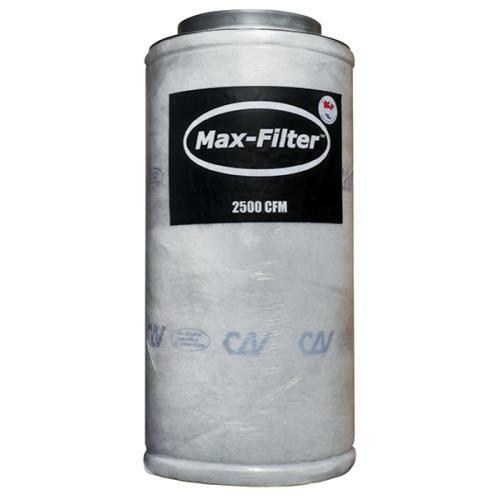 The Max Filter includes a 14″ Flange and is designed for the 14″ Max Fan. When you need max air flow reach for the Max-Filter™ 2500 CFM. The objective when constructing the Max-Filter™ was high air flow, convenience and effectiveness. The Max-Filter™ has been constructed with light weight aluminum (over 40% perforated) and high capacity carbon with an outside diameter of 20 in (over 17 sq/ft) of surface area. This large surface area allows for max air flow with an effective time in contact for odor and pollution control.